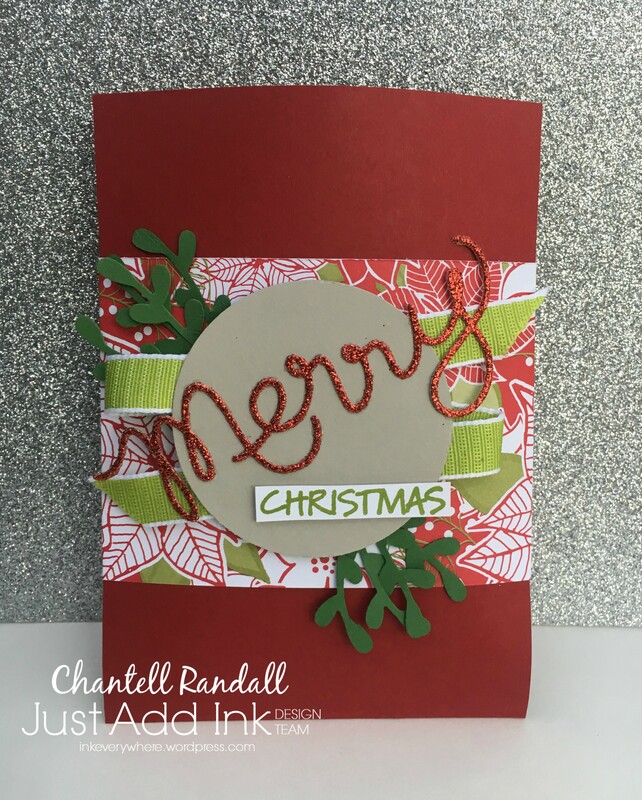 Just Add Ink Challenge # 441…..Inspiration! 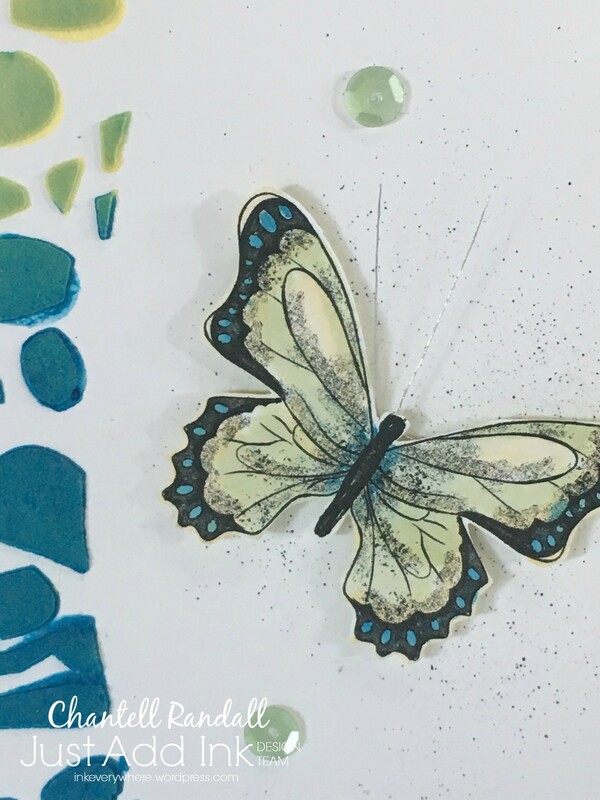 The 2nd Just Add Ink Challenge for 2019 is right here…….the idea with this one is to use the Inspiration Picture to inspire what ever you create……. 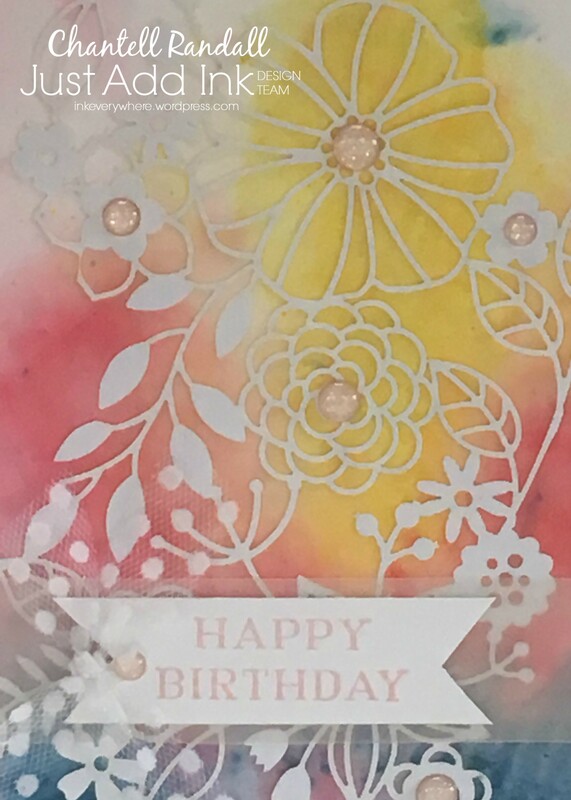 I decided to make a Water color background using the Brusho Powders…..
You can’t really see in the photo – but the enamel dots that I used are very sparkly….I really love them. 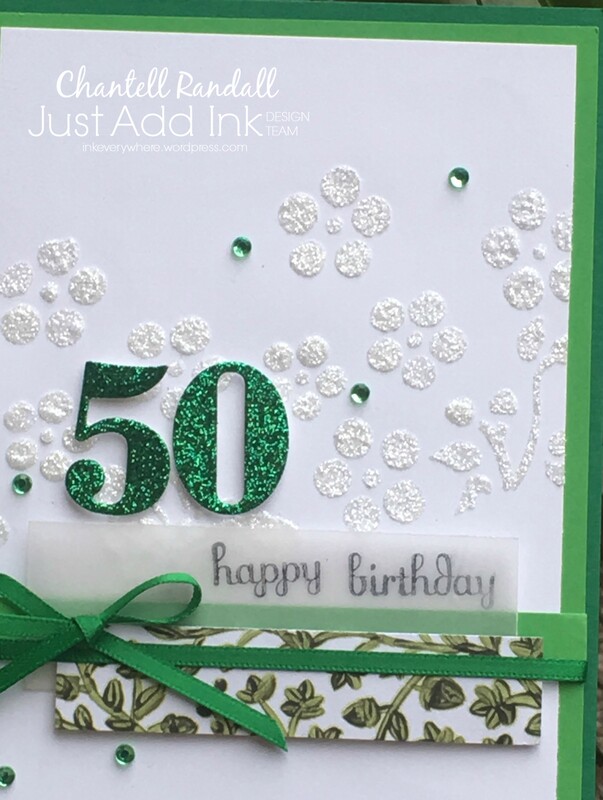 So – here is the Link to Just Add Ink, so you can come along and join this Challenge. 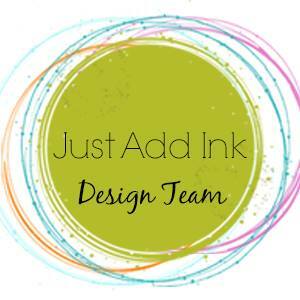 Also, check out all the Design Team projects and other Challenge entries. 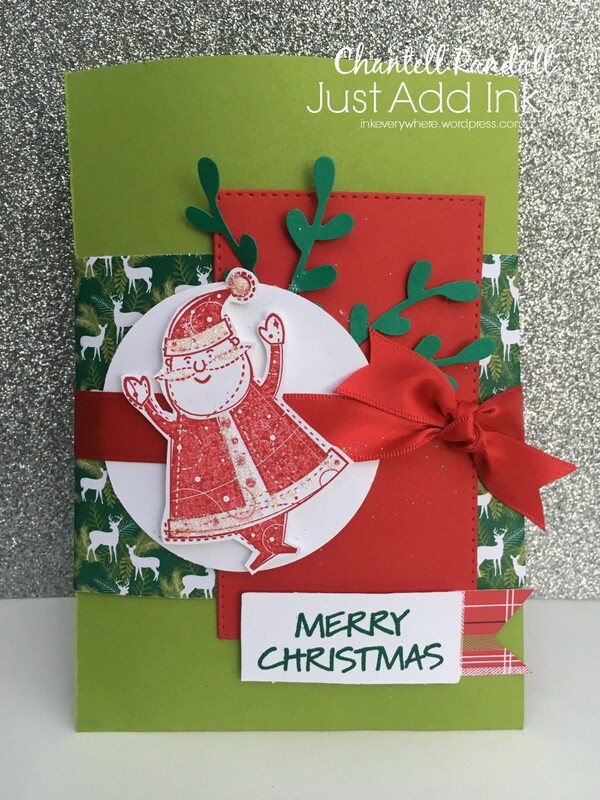 The Just Add Ink Colour Challenge this week is perfect for this time of year…….Just the perfect colours for me to create a Christmas Card with…….. 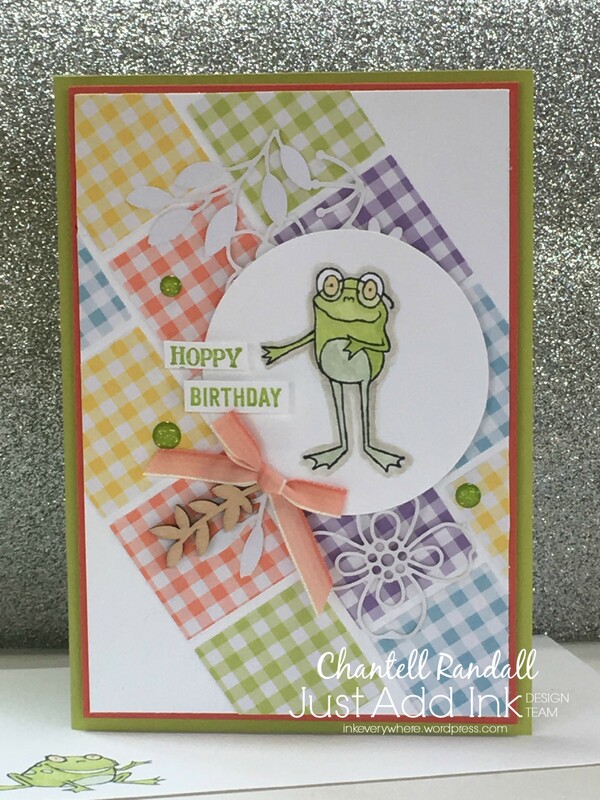 I added Pool Party to my card. 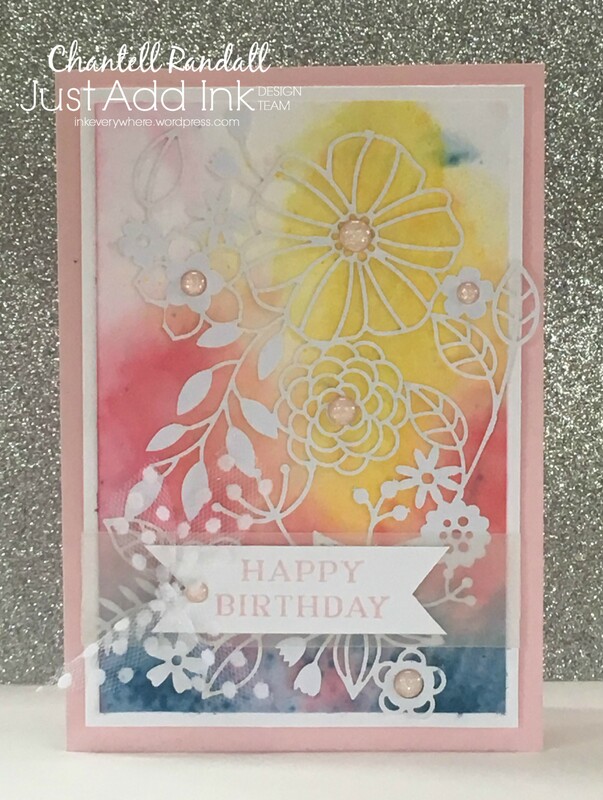 To make the back ground I sponged a bit of Pool Party and then some Lovely Lipstick through a stencil. Well…………to be honest, it was only meant to be the Pool Party, but I picked up the wrong sponge!! 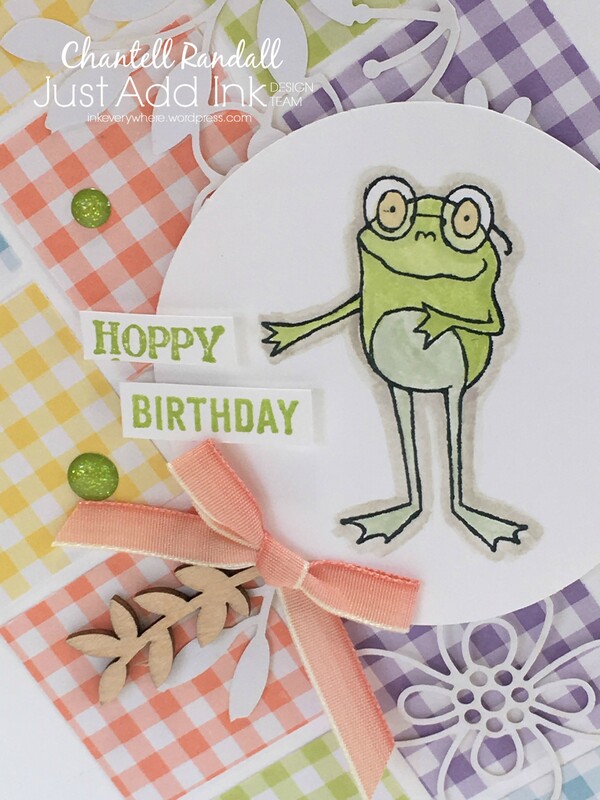 LOL – oh well, I just adapted it a bit. 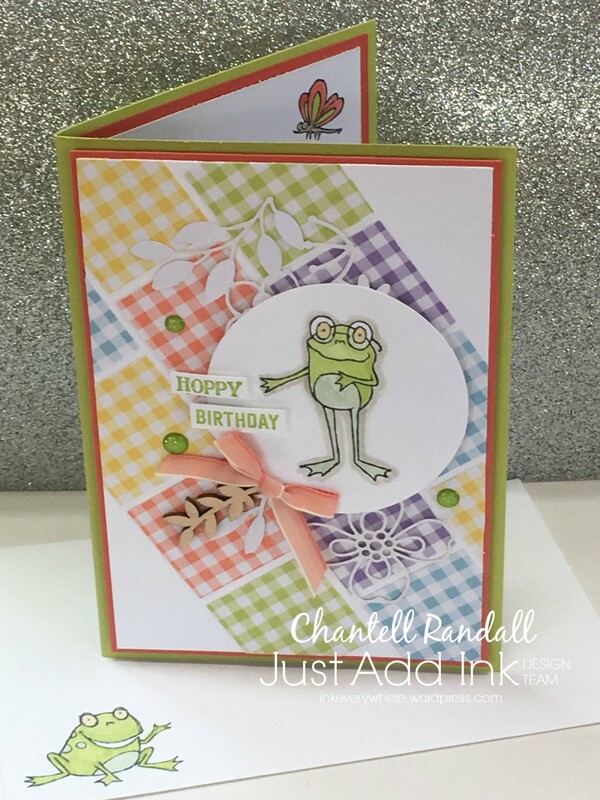 Here’s the link to the Just Add Ink Blog – so you can check out all the lovely Colour Challenge cards and join us for this Challenge too.